Malaysia, consulting and the opening of the Sultan Abdul Halim Muadzam Shah Bridge..
2 weeks technical support in Malaysia..
By the way I was able to compare the traffic on the 1st bridge during 1 week before and 1 week after the opening of south Asia’s largest bridge, named the “Sultan Abdul Halim Muadzam Shah Bridge” after the current Malaysian King. From tuesday after the opening the 1st bridge clearly showed less traffic density which reduced transportation times considerably, and it improved further in the course of the 1st week. 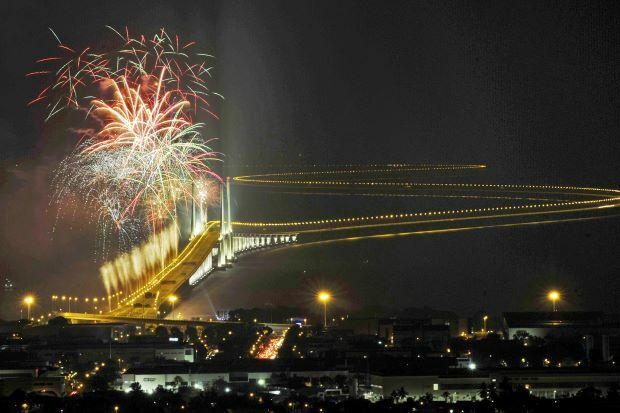 But on friday evening the traffic jam was as massive as usual or even stronger due to vacation seekers from all over the mainland taking their chance to visit the new bridge for free during the 1st month. Next time I will add some days off time to explore the local culture more than I could this time..